From permanent bed deionizers to portable DI Water Exchange Tanks, Water Zone Inc. can design an installation to meet your needs. If you are looking for a safe, convenient and economical system to produce ultrapure DI water, using portable DI tanks makes perfect sense. They require no system installation, no chemical handling and no maintenance. Most importantly, the DI tanks give you a reliable stream of laboratory quality and HPLC grade water. When resins in a tank are exhausted, Water Zone will replace the tanks with new regenerated water deionizer tanks that will provide you with a steady supply of ultrapure DI water. All the equipment, including ion exchange resins, regeneration, equipment installation, maintenance, and repair are provided by Water Zone Inc. With over 30 years of DI experience we are a leader in DI water and purification. The DI Exchange Tanks are available in variety of sizes, resin types, and configurations. 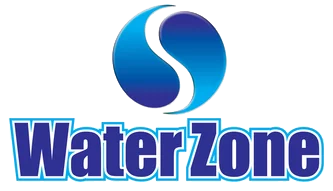 Water Zone Inc. has the knowledge and experience to determine your precise needs and deliver the product to accomplish them. All ion exchange resins are regenerated under ISO 9001 and NSF standards at our own facility. Two-Bed A combination of cation and anion resins mixed in a single tank allows thousands of cation and anion exchange processes take place as water passes through the resin beds. Water quality of 5 megohms or more with neutral pH. Mixed-Bed Cation exchanger and anion exchanger connected in series. Cation exchange unit removes positively charged ions; anion exchanger removes negatively charged ions. May use weak or strong base resin. Strong base water quality of 0.2 megohms and pH of 8-9, weak base lower quality and pH of 6-7. Multiple-Tank Systems Three or more tanks in series, parallel, or a combination in any quantity. May be cation-anion-mixed bed, cation-cation-weak base anion, cation-strong base-strong-base or combination. Laboratory water quality of 15 megohms or more, with neutral pH systems with mixed beds. Multiple Complete Process Treatment Systems Exchange service tanks use other water treatment processes and may be added for an ultrapure DI water system. May include softening, depth filtration, carbon adsorption, UV sterilization, submicron filtration, or other processes. Copyright © 2019 Water Zone International, Inc.